The Barbican area of the City of London, World War II, 1942. 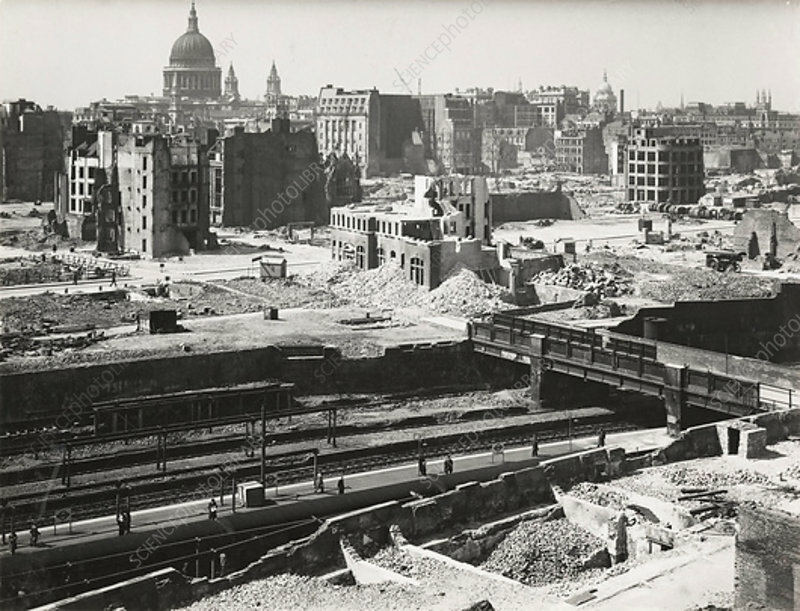 View showing the devastation following the demolition of unsafe buildings damaged by German bombing. Amongst the rubble people can be seen standing on the station platform waiting to catch a train.